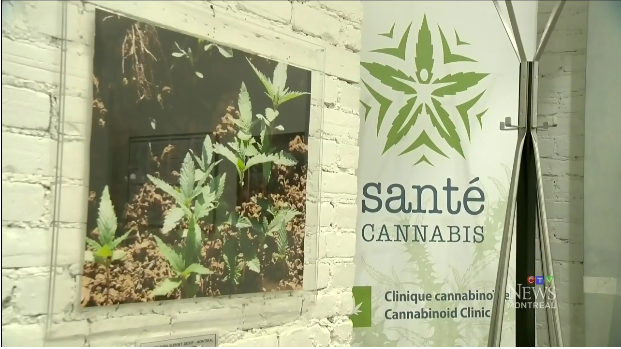 Researchers in Quebec have launched a registry of medicinal cannabis users to determine the safety of the drug and its effectiveness in treating a variety of diseases and conditions. The Quebec Cannabis Registry will be used to compile and store clinical data collected directly from about 3,000 medical marijuana users in the province, who will be enrolled through their primary-care doctors over a 10-year period. "The registry is now basically open for business," said principal investigator Dr. Mark Ware, a family doctor and McGill researcher who specializes in pain management. In April 2014, Health Canada changed its regulations governing medical marijuana by requiring patients to obtain a prescription from their physician and to purchase the herb from a licensed grower. While cannabis is not a medically recognized treatment, more than 40,000 Canadians are estimated to legally use it to relieve the symptoms of such diseases as multiple sclerosis, HIV, cancer and epilepsy. Each province and territory has its own prescribing guidelines for physicians, but in Quebec weed can be prescribed only as part of a research project. Ware said the registry is a "real-world" research study that aims to collect data about who is using cannabis for medicinal purposes and why. Subjects, who will not be identified by name in the registry, will each be followed for four years after their enrolment. "We're not specifying what kind of symptoms or disease, we're not specifying dosages," he said Monday from Montreal. "We're simply asking the physicians and patients to collect the information and submit it to the registry so that over time we can start to build up a better picture of who is using cannabis and for what reason, and how much they are using. "And if over time we start to notice trends in the type of cannabis they use or the level of THC (the main active ingredient) that they prefer ... we may start to see patterns emerging when the dataset gets large enough." That could help doctors learn, for instance, that a specific variety of dried pot taken at a certain dosage has a beneficial effect on a particular symptom -- perhaps pain or muscle spasticity. Ware said marijuana is known to give short-term relief for pain, particularly pain caused by nerve damage due to diabetes, trauma, multiple sclerosis or spinal cord injury. "We know that in the short term the drug can be quite effective in patients who failed all their other conventional approaches," he said. But the registry will also look at safety, based on patient reports of any adverse effects from the drug. "In terms of long-term safety, really what we know about is from the use of recreational cannabis," said Ware, noting that about 40 years of research have looked at weed's effects on the lungs, heart and brain. "So we can extrapolate some information on safety from recreational studies, but of course patients are using it for different reason. They may be using different amounts and they may have other medications on board, they may have other diseases as well." Ware said the database will be made available to scientists across Canada and around the world. "We need to improve our understanding of the real-world use of medical cannabis and to make these data available to other researchers and collaborators," he said. "The registry will eventually help us better understand the possible risks and benefits related to the use of this product."